ABD is the premier provider of merchandise displays to leading brands and retailers. Our headquarters and factory are located in Shanghai, and we have 20 years experience in the retail and cosmetic industries. Our strength lies in creating brilliant designs for displays and executing with precision manufacturing. We have generated superb relationships with high-end customers through the production of quality products that earn trust and respect from our customers. In 2013, ABD opened its first North American factory in British Columbia to further improve our global reach, logistics and customer service. ABD's Shanghai factory has extensive equipment for working in acrylic, metal and wood, along withprinting, outdoor large-scale display lighting and other processing equipment. We are able to meet the full range of our customers’ needs. 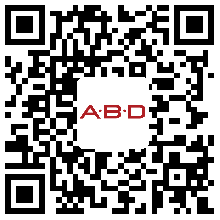 ABD has been awarded the prestigious SA8000 and Great Wall quality certifications.